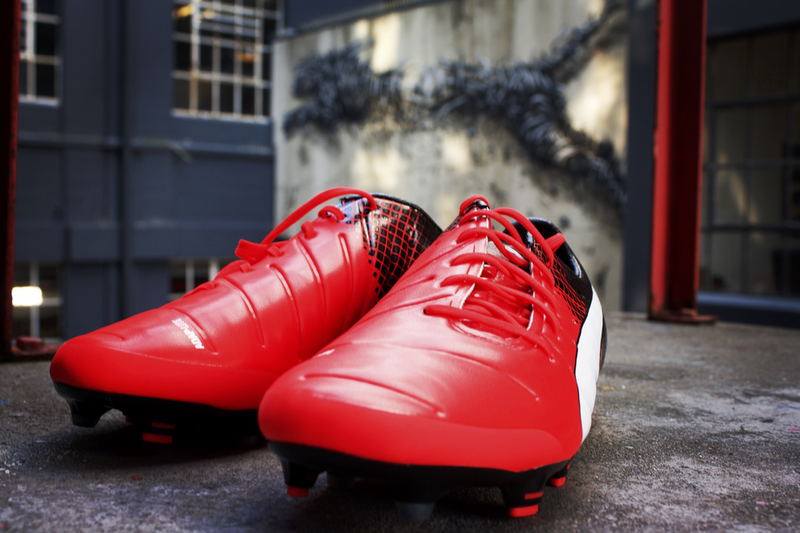 PUMA has launched a new colourway of the evoPOWER 1.3 football boot. The striking orange, black and white evoPOWER 1.3 boot will be worn on-pitch by PUMA’s power players including Oliver Giroud, Mario Balotelli and Yaya Touré. evoPOWER 1.3 is PUMA’s third generation of the Global Sport brand’s successful power silo that first debuted in 2014, designed to unleash more power whilst helping increase accuracy. As with previous boots within the evoPOWER family, it keeps the principles of barefoot kicking at its core, engineered to enhance what the body does naturally. PUMA has further developed this concept with the evoPOWER 1.3, providing even more flexibility through the outsole, which leads to more kicking power. When creating the outsole, PUMA looked at the mechanics of barefoot kicking and translated this into the boot by using a one way stretchable Adap-Lite upper. This allows the foot to bend, mimicking the barefoot kicking motion. This evolution of the boot has improved configuration of bladed and conical studs, allowing for more manoeuvrability and giving extra stability in the midfoot for the standing leg when kicking. An increased amount of AccuFoam in the upper provides a smoother and cleaner kicking surface for more precision when kicking the ball. This combined with the GripTex, a PUMA technology applied to the upper of the boot, helps create enhanced ball control.